It’s useful practice to try and copy other spoons directly. This first one is copied from a Norwegian sugar spoon, probably in birch. 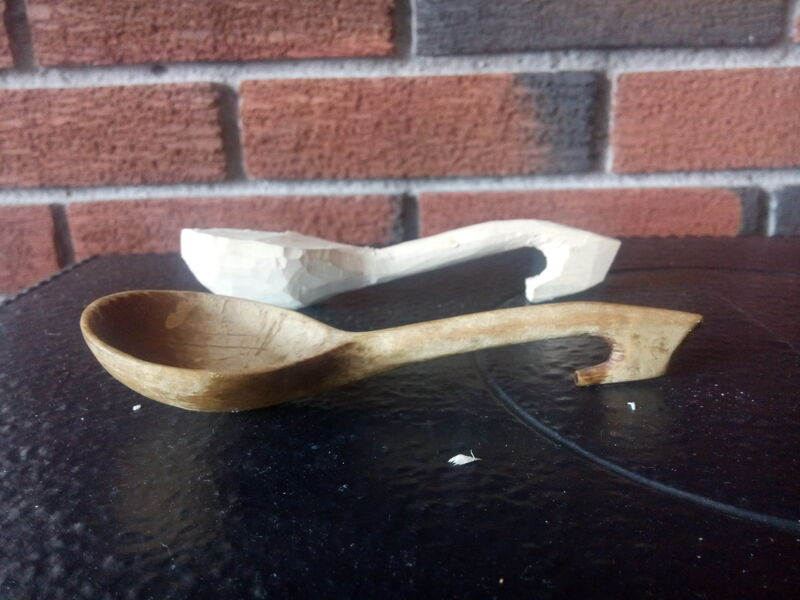 My roughed out blank, also birch, is at the back. And this is the final version. Then I tried to copy a coffee scoop given to me as a present. I’ve slightly lengthened the handle (easier to dip into coffee pots and packets), and the profile curve isn’t quite as steep. I don’t know what the wood of the original is; mine is in sweet chestnut, from a pruning from my communal garden. 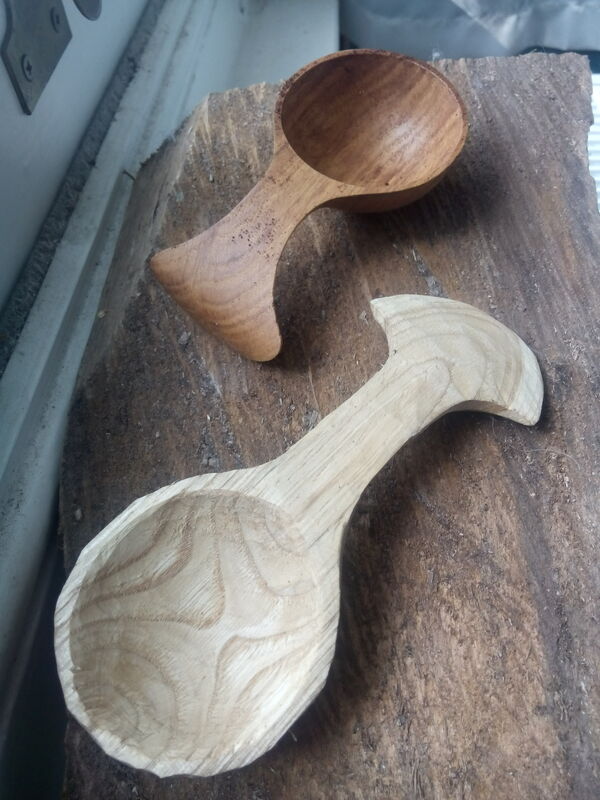 It still needs finishing and oiling, but I like the radial pattern of the grain in the fish tail of the handle, combined with the hour glass in the bowl. This entry was posted in Uncategorized by bradonsmith. Bookmark the permalink.